Universal Monsters – The Phantom’s Curse is a 5 reel, 40 payline slot from Net Entertainment. Based on The Phantom Of Opera, NetEnt say that “you will be spellbound with this love story where the Phantom falls for Christine”! 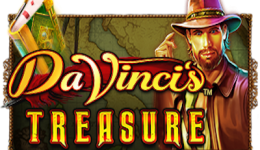 The game boasts a number of features including wilds as well as a pick and click bonus game. The game also has bet lines that pay both ways increasing the chance of bigger wins! The reels overlay a theatre setting and the symbols in the game represent parts of the story. These include a ring, yellow rose, hand mirror and dagger. The remaining symbols are diamonds, spades, hearts and clubs. The Phantom, who looks like Liam Neeson, and Christine make up the rest of the slot symbols. Wagering on The Phantom’s Curse starts at 20p a spin. Adjust the coin value and level to set your wagering higher. The maximum wager is £200. An autoplay feature allows you to sit back and watch the play whilst enjoying the classical music soundtrack. Select advanced on the Autoplay option to stop the reels when you win, if free spins are won or if a single win exceeds a fixed amount. Similarly you can stop the game based on how much your cash increases or decreases. The Phantom’s Curse has a number of game features. Get three or more scatters on the reels and activate a free spins round. The number of free spins is determined by The Phantom. Five of them during the spins will see the chandaliers come crashing down and the bonus round ended. The game has a number of different wild symbols including Mask, Stacked Mask, Masked Phantom, Stacked Phantom and Stacked Christine. The Stacked Phantom only appears on the first reel whilst Stacked Mask and Stacked Christine appear on reel 5. Stacked bonus symbols are in play during free spins. A respin is awarded when the Stacked Phantom and Stacked Mask appear on the reels. The Pick and Click bonus round appears when the Stacked Phantom and Stacked Christine symbols appear on their respective reels. The bonus round comprises two stages: during stage one there are eight yellow roses to choose from – some roses reveal cash prizes, whilst others reveal blockers. If a blocker is revealed then stage two starts. 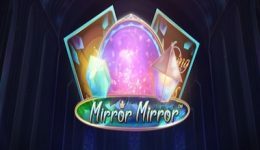 At this stage three mirrors are presented – each represents a multiplier of x1, x2 or x3. The coins won in stage 1 are then multiplied by the amount in stage 2 to reveal the win. 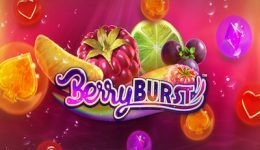 Net Entertainment have taken a dramatic story and turned it into a dramatic slot game. The graphics are good as is the accompanying soundtrack. The bonus rounds and multiple features including the left to right and right to left win lines help elevate interest in the slot.